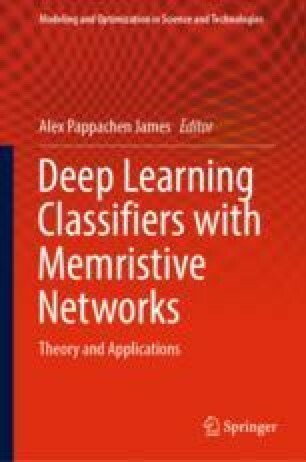 This chapter covers the implementation of deep learning neural networks and memristive systems. In particular, deep memristive convolutional neural network (CNN) implementation is illustrated. In addition, the main issues and challenges of deep neural network implementation are discussed. Deep neural network is a network with a large number of cascaded layers and different activation functions between the layers. Most common implementation of deep memristive neural networks is based on several crossbars with memristive devices. Most of the existing implementations of deep memristive neural networks with more than three layers are Convolutional Neural Networks (CNN), used for image processing applications. The main challenges in such networks include implementation complexity of learning circuit and imperfections of memristive devices.